ACTIVE INGREDIENTS: Hypericum perforatum 3X, Phytolacca decandra 3X, Guaiacum 6X, Ledum palustre 6X, Conium maculatum 30X. 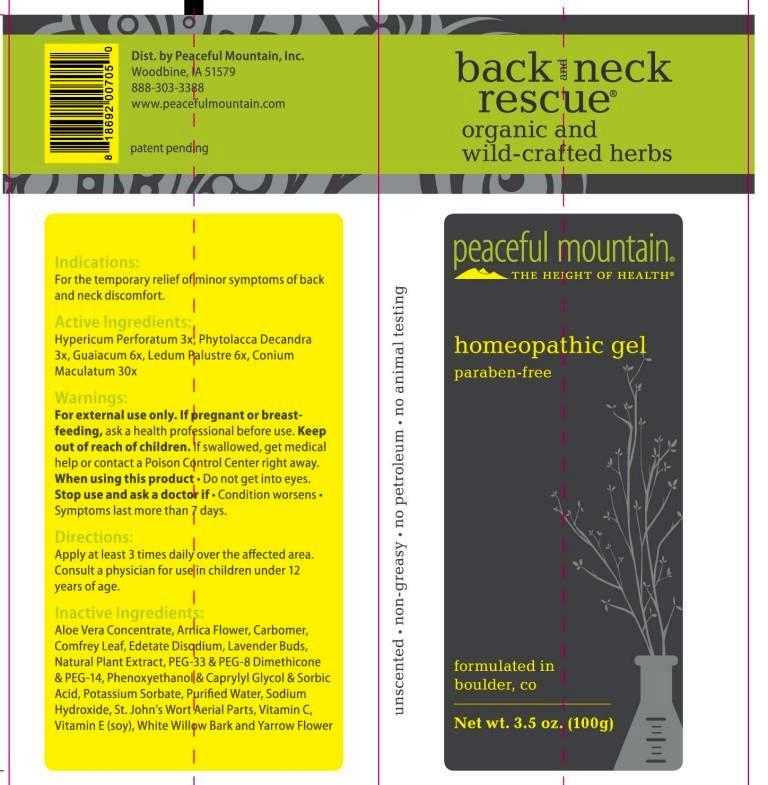 INDICATIONS: For the temporary relief of minor symptoms of back and neck discomfort. When using this product - Do not get into eyes. DIRECTIONS: Apply at least 3 times daily over the affected area. Consult a physician for use in children under 12 years of age. INACTIVE INGREDIENTS: Aloe vera concentrate, Arnica flower, Carbomer, Comfrey leaf, Edetate disodium, Lavender buds, Natural plant extract, PEG-33, PEG-8, Dimethicone, PEG-14, Phenoxyethanol, Caprylyl glycol, Sorbic acid, Potassium sorbate, Purified water, Sodium hydroxide, St. John's Wort aerial parts, Vitamin C, Vitamin E (soy), White Willow bark, Yarrow flower.